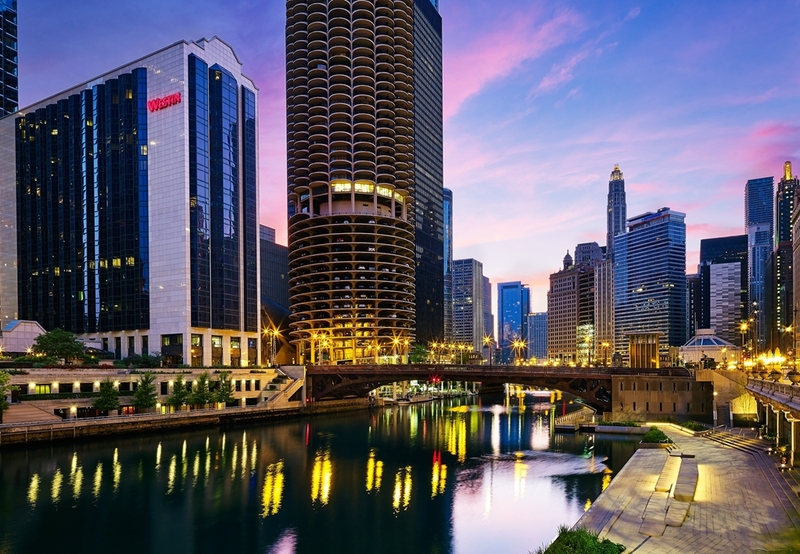 The hotel is located directly on the Chicago River. With its fantastic location, business centre, restaurant, lounge and 429 rooms, this property is a shining example of a modern hotel. A warm welcome greets guests with a 24-hours reception and check-out service as well as an excellent little gift shop. Valet parking is available on-site. In addition, the hotel offers safes, lift access, a restaurant with bar and lounge, an acclaimed sushi bar, conference facilities and room and laundry services. All rooms are well-equipped with standard amenities. The property has an excellent contemporary restaurant with a lounge, an acclaimed sushi bar serving authentic Japanese delicacies and 24-hour room service. Guests may also like to relax in the sauna and workout in the fitness studio.